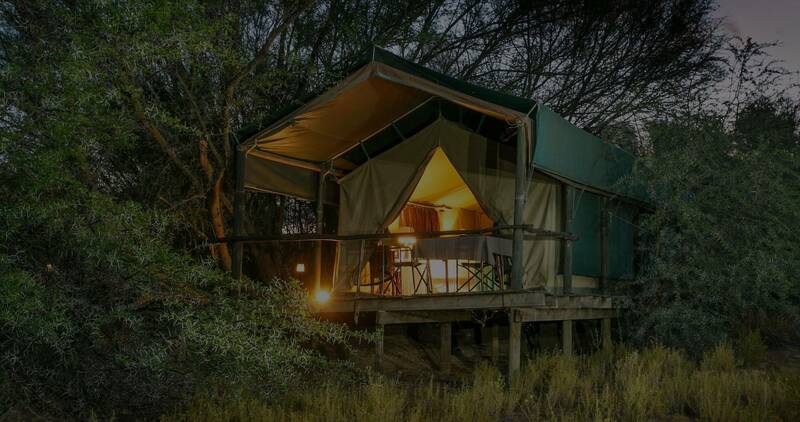 Accommodation in our luxury en-suite tented chalets & log homes in the bush. We have eights tents & two log homes, with two en-suite rooms, available and accommodate twenty six guests. We are willing to make separate beds for small children (Under 12) to share with their parents, though.